IRC joined “The 21st Honda ECO Mileage Challenge 2018” on November 13, 2018. 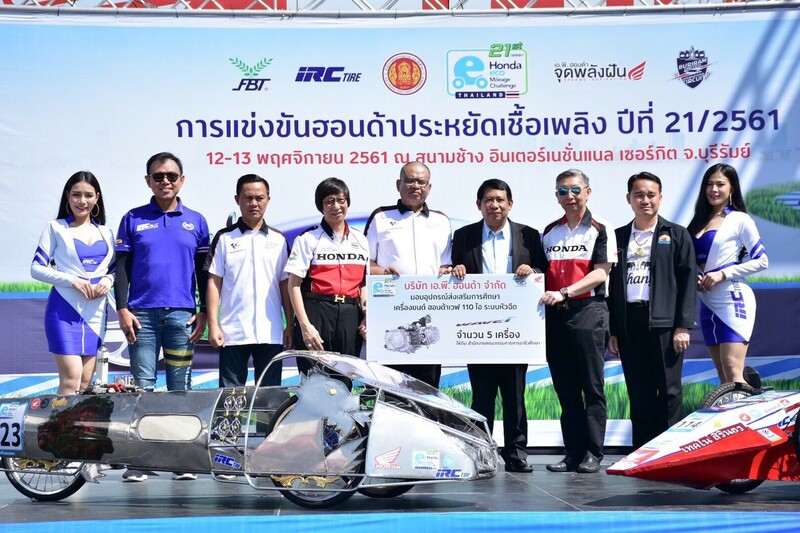 This event were participated by over 500 challenger teams from various Vocational Education Institution in Thailand. In this event, IRC had sponsored Eco-Run Tire, designed dedicatedly for eco-ranker.